During the month of April, I’m focusing on all things related to debt. To start this week off right, I’m sharing the process that I used to eliminate all of my non-house debt in just 14 months and my house mortgage in 10 years. Get fired up! YOU CAN DO THIS! 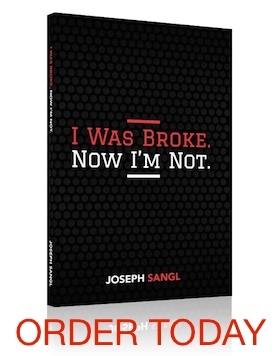 For more information on how to eliminate debt, pick up a copy of my latest book, I Was Broke. Now I’m Not.